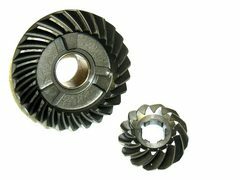 Evinrude Johnson outboard gears 25-50 hp. 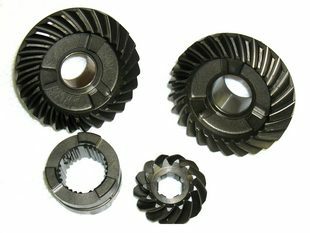 GLM P/N 22660 Lower unit gear set with 3 jaw clutch dog. Sierra 18-2210. Fits 2 cylinder 40-50 hp newer style small housing. Loop charged motors (1989-2005) see below for specific models. 12/29 ratio. 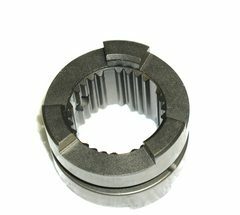 P/N 22663 Clutch Dog - 3 Jaw. P/N 22661 Pinion / forward set. See above for compatible models. 12/29 teeth, 2.42:1 ratio. Replaces OEM 397627, Sierra 18-2310, Mallory 9-73511.